Piya Tan’s Reflection & sutta class: 9 May 2018 (Wed)-பாஜகவை திணரடிக்கும் 14 கேள்விகள். 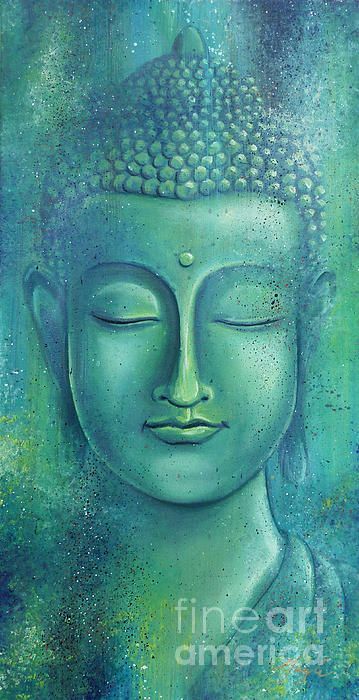 DICTIONARY OF EARLY BUDDHISM (DEBo 1.0): http://dharmafarer.org/ wordpress/dictionary-of-early- buddhism. REFLECTION R551: “Do bad mindfully” (To download PDF). professionals—can we then say that a profession­al is one who does something better for more money? But “better” here can refer to both good actions as well as bad ones. rat-race society money is might, and might is right. back at someone, or we were simply bored. is how our latent tendency (anusaya) builds up and grips us ever tighter. Again and again–that’s samsara. feel bad about. Then, we more naturally let go of old bad habits and form new good ones. We begin to see the benefits of it all. very much easier to step out of our bad habit loops. mistakes for countless lives until we have done them all–even breaking our hearts, losing our limbs, losing our heads life after life after life. failing, falling and fleeing, into the bright light of beauty and truth. Amba,laṭṭhika Rāhul’ovāda Sutta (M 61), SD 3.10. (2) FREE BOOKS from the Sutta Discovery series by Piya Tan. (3) THE SIMPLIFIED SUTTA DISCOVERY (SSD). 2. the Sutta Glossary Index (SGI) (subject index), click here (part 1) and here (part 2). 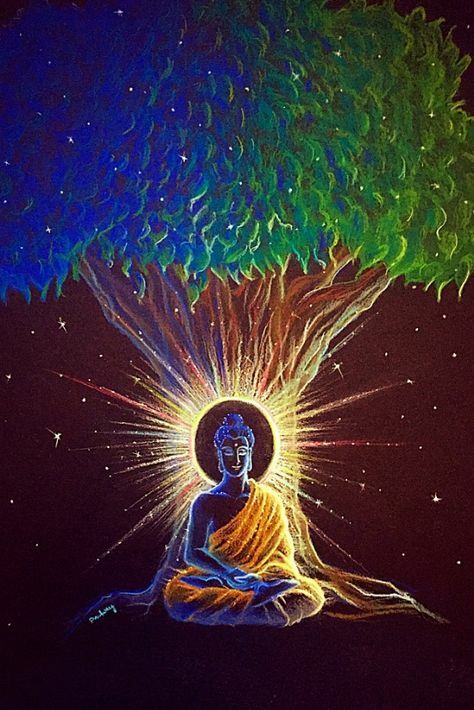 (5) ONLINE TEACHINGS: Sutta teachings by Piya Tan on YouTube. (6) MEDITATION guides: Vol 1, 2 & 3: Click here. (7) MEDITATION CUSHIONS (kapuk-filled zafu): Order now (Singapore only). Poh Ming Tse: Every 2nd & 4th Sunday, 10.45 am - 12.30 pm. ​​(10) FORTHCOMING courses: http:// themindingcentre.org for details. 3 Shenton Way, #03-06 B, Singapore 068805. தீர்ப்பு நகலை சட்டத்துறை அமைச்சர் வாங்கிய நிகழ்வை கேள்விப்பட்டதுண்டா? தாழ்த்தப்பட்ட மக்களை கட்டாயப்படுத்திய சம்பவத்தை கேள்விப்பட்டதுண்டா? suction trucks to avoid manhole cleaning. AA. What did the accused ask for? They also opposed a plea seeking transfer of trial to Chandigarh. miscarriage of justice,” the affidavit claimed. trial to Chandigarh and handing over the investigation to the CBI. picture for giving justice to the victim and the accused persons”. threat and there was not a “whisper of evidence” about this. before the high court there, was an “abuse of process of law”. allowed to conduct the probe in a tainted and biased manner. and the statement of her father was also not recorded. They claimed that “tutored and coerced” statements of some witnesses were recorded but they later retracted. BB. What the Supreme Court has now ordered? protect the witnesses and make the accused “feel safe”. The documents would be translated from Urdu to English. petition seeking transfer of the case for the purpose of fair trial. always open for supplementary investigation, if required. “When chargesheet is filed, why should we want another agency?” Chief Justice Misra said. or appeals from the Pathankot District Judge’s orders. total of 221 witnesses in the case. The next date of hearing in the Supreme Court has been fixed on July 9. Kathua district rather than out of J&K itself. accused,” Chief Justice Misra responded. (Here’s the video clip of the mother’s desperate cry: <https://www.ndtv.com/…/hang-the-accused-or-shoot-us-kathua-…>. house, our entire property is gone,” the child’s mother told NDTV. lawyer told the top court. whether the trial should be moved out of Kathua. property is gone,” the child’s mother told NDTV. could have been saved but they sat on it for seven days,” she told NDTV. court seeking a CBI probe to catch the “real culprits”. girl’s nomadic Muslim community out of Kathua’s Rasana village. plea of the accused seeking handing over the probe to CBI. they face extreme discrimination after the child was raped and murdered. if they are freed,” the mother said. “I am not allowing their goats into our area. “There is a general feeling that such a thing should not have happened. to see such things don’t happen in future,’’ he said. happened and to see such things don’t happen in future,’’ he said. happen in future,’’ he said. 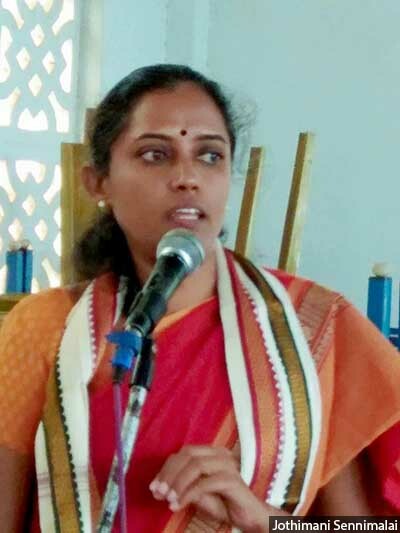 Paradesi chitpavan brahmins who defeated her by tampering the fraud EVMs. No doubt Mayawati is best CM of UP. 1. Main work of state govt to regulate law and order. She is judged as best CM for the same. I bet you take any survey. 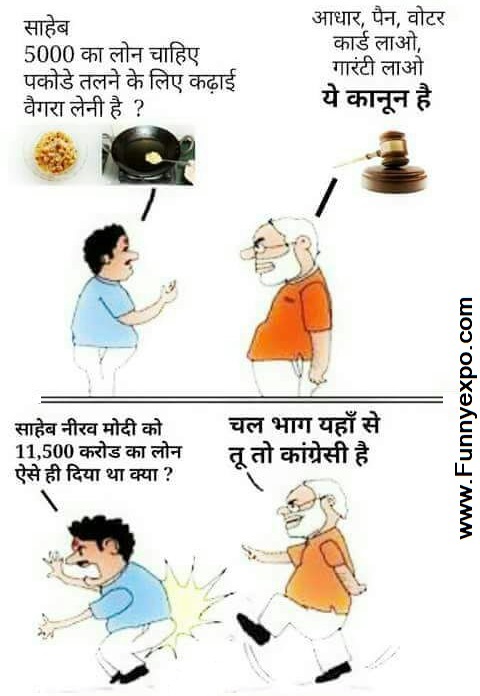 the way BJP is doing witch hunting. 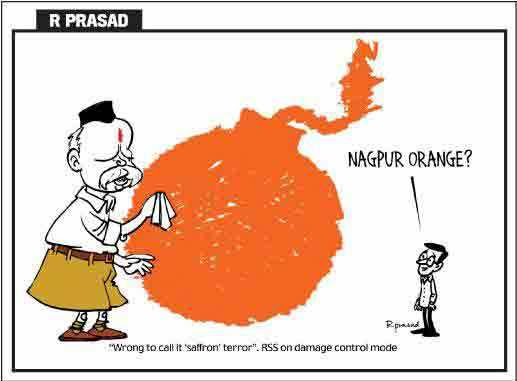 the RSS’s BJP’s Gujarat Chief Minister A Hindutva Cult Fascist. 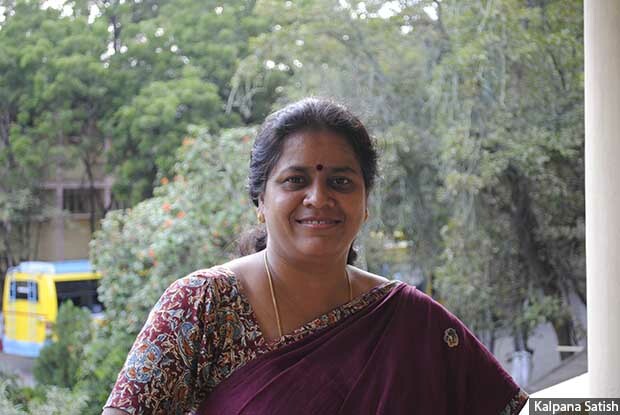 2614 Mon 7 May LESSON Urapakkam (Kancheepuram district), Tamil Nadu: Even by normal standards of violence in Tamil Nadu’s panchayat politics, the events of March 29, 2001, were troubling. 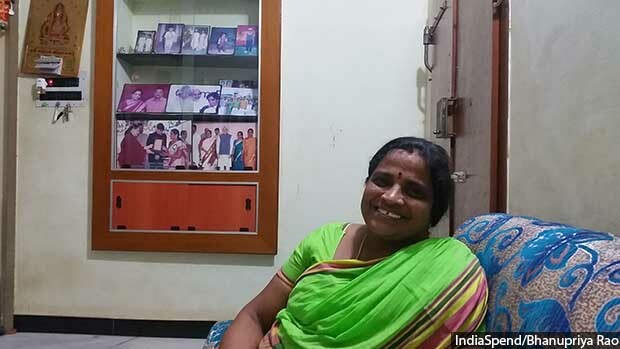 Menaka, 35, the feisty Scheduled Caste president of Urapakkam panchayat near Tambaram, a Chennai suburb, was hacked to death right in front of her office in daylight. hacked to death right in front of her office in daylight. because it cost Rs 1600 crore at that time. dead before her brother Nehru could rush to her defence. veteran had seen her rising popularity as a gram panchayat president. “This land belongs to us, our people. Why should outsiders lay claim to it?,” she declared, recalled Satish. groups, found the fact-finding committee. them and they began to participate actively in rural governance. hacked to death in daylight in a bylane of Villapuram, her constituency. bringing drinking water to the poor of Villapuram. tankers to service the community. it was supposed to be given free by the corporation as per law. and physical assault in the state assembly for questioning the then chief minister K Karunanidhi’s budget speech in 1989.
financial powers to sign cheques. Panchayat Presidents’ Federation in leadership. state-level network of women panchayat presidents. those who saw their status quo being challenged by women,” said Satish. parting with these “commissions”, as we reported earlier. remit of the gram panchayat, as per Section 160 of the Tamil Nadu Panchayat Act, 1996.
unflinching support from the community. women leaders who dare to stand against them. Cements’ bid to set up a polluting cement factory in her village. because of weak support from within and outside their communities. schemes, what are the structures of bureaucracy and how to access them. capital, industry and politics–these are not a part of the lessons. of the land she had chosen to redistribute to the poor. farms owned by dominant castes. from physical and verbal abuse. But as our earlier story pointed out, poor dalit women get no support at all–from within or outside their communities. dominant caste women,” said Satish. “They want change, here and now. administration, seeking protection for dalit panchayat leaders. her Rs 50,000 as compensation. 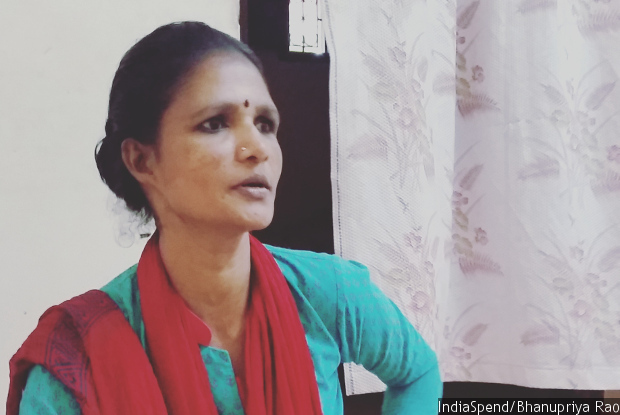 Menaka’s life as a local problem. from federation leaders, was later acquitted. exists in the SCs and STs (Prevention of Atrocities) Act, 1989.
was brutally attacked a few months later. “The system itself is so threatening. crucial for women leaders, especially dalits, to function without fear. control for gain a modicum of economic independence,” added Satish. estate hub, barely recognisable from 2001, when it was a quiet hamlet. 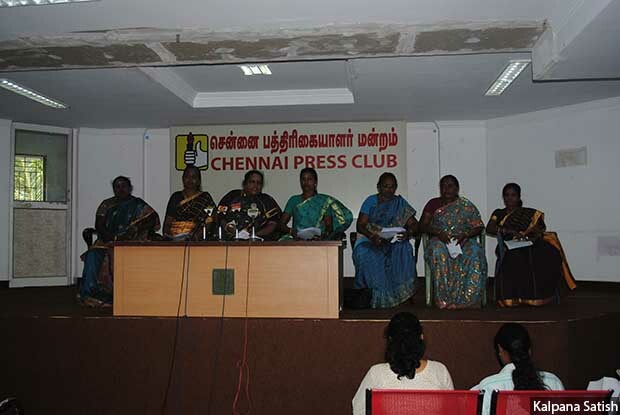 of women’s leadership in Tamil Nadu.